You’d think Epic’s new storefront and The Game Awards would’ve swept up all the week’s news, but no! Turns out plenty happened in and among this week’s bombshell announcements: Below surprise-announced a release date in the near future, DayZ preps to emerge from Early Access at long last, Call of Duty starts selling Black Ops 4 sans-zombies, and Just Cause 4 adds a Getting Over It Easter egg. This is gaming news for December 3 to 7. It’s not the same type of free game trial we like to highlight in this column, but if you’re looking to play something this weekend Square Enix is now offering an extended demo of the recently released Shadow of the Tomb Raider. You can grab it from the Steam page and play the opening bit for free, which I assume includes the “Day of the Dead” and maybe the first tomb, a.k.a. the bit I played at the reveal event in April. I wasn’t in love with Shadow of the Tomb Raider, but if you’ve been on the fence this is a good chance to get a taste of the game. Prey is one of 2017’s best games—and one of 2018’s as well, thanks to its ingenious Mooncrash update earlier this year. There’s one more piece of Prey left to come though: An asymmetric multiplayer update called Typhon Hunter, where a human player has to track down five other Mimics, disguised as random objects in the environment. It’s like an in-universe version of Team Fortress 2’s PropHunt, and you can start playing on December 11. We first saw Capybara’s Below at E3 2013, the same year the Xbox One was announced. Now it’s close to the end of this console cycle. What happened, and was the long wait worth it? We’ll find out soon, as Below finally announced a release date this week—and it’s a scant week away, on December 14. Speaking of games that are looooooong in development, DayZ entered Early Access in December of 2013, shortly after Below’s announcement. It’s now finally ready for release, with DayZ 1.0 set to hit Steam on December 13—though I can’t imagine it making much of an impact. The DayZ zeitgeist has long since passed. For years I’ve wondered how long until Activision spins Call of Duty’s Zombies mode off into its own game. Now I’m curious if 2018 is the first step in that direction. 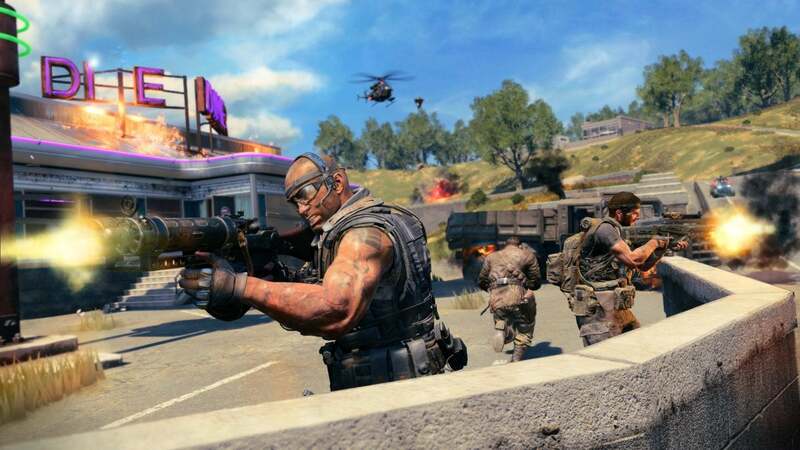 This week Activision announced the Black Ops 4 Battle Edition, which costs $30 and includes standard Call of Duty multiplayer as well as the Blackout battle royale mode—but no Zombies. It’s a smart move, pitting Black Ops 4 directly against PUBG on price, and stripping out a mode plenty of people won’t even touch. Question is, do we see more of this in the future? In 2019, will we be able to purchase (for instance) just multiplayer? Or just Blackout? Very intriguing. Here’s an annoying-on-principle piece of news: Ubisoft Club “Units” will start expiring in April, 2019. The little gold coins, which you earn by completing in-game challenges and spend on cosmetics and other doodads, aren’t super valuable—but until now they’ve just sort-of accrued on your Uplay account, there to be spent at will on Assassin’s Creed ship skins and desktop wallpaper and so on. In April though Ubisoft will add a two-year timer to any Ubisoft Club points. Why? It’s hard to think of any real reason unless Club Units are about to become way more useful. Destiny 2’s moved away from big story-based expansions to smaller, event-based fare, the first of which is the Black Armory. Released this week, it adds a bunch of guns to the game, along with time-gated events that will last the entire season. Cool for hobbyist players, though I admit I’m not feeling nearly the same pull to go back as I felt with expansions like Curse of Osiris, where on this date I knew I’d be revisiting the game and playing some new missions. I guess we’ll see whether this new approach works out for Bungie. We’ve been on the precipice of a Toejam & Earl: Back in the Groove release for at least a year now, prey to one delay after another. This latest release date seems vaguely solid though, with the game now scheduled for March 1, 2019. That’s right in the thick of a million other releases, but hey, what isn’t these days? I’m not hot on Just Cause 4, but I will admit this is one of the best Easter eggs in recent memory. You can watch the video from DANNYonPC below. Upon finding a pot and a hammer on the side of a mountain,Just Cause 4 transfers seamlessly into a recreation of Getting Over It With Bennett Foddy, one of 2017’s best indie games.